Woah, Wednesday already...where is this week flying by to? I simply requested his undivided attention for a whole evening. Our lives seem so busy at times; it's like we hardly have a moment to pause and live for the moment. We spent our time together well: he was sweet enough to make some surprise cake pops! I was totally gobsmacked! He even presented them in a box - such attention to detail! I find paper piecing pretty therapeutic - even the fiddly cutting keeps me happily occupied. I simply rooted through some of my scrap DP (admittedly there's not much of it as I try to face my hoarding of the stuff!) and pieced away! I hope you're all having a fabby week so far! Stay tuned for tomorrow's CASE Study post - I'll warn you now that you'll wonder whose blog you're visiting once you see what I've whipped up - eek! Ok, just slightly in awe of this!! Aimes, Sounds like the perfect way to celebrate Valentine's Day! 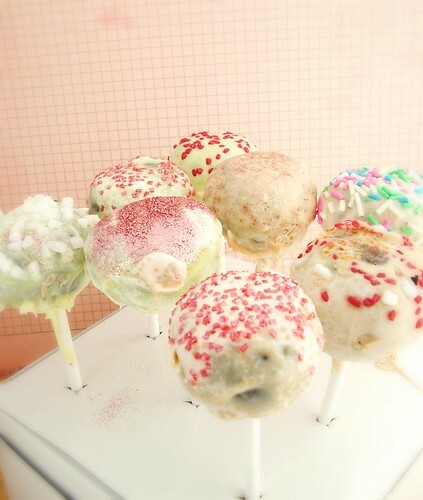 I love that he made you cake pops! Yummo! And...your card is absolutely divine. So elegant. Can't wait to see what your up to tomorrow! Gorgeous stamp set Aimes, love the paper too. I'm with you the week is flying by far too fast for my liking. 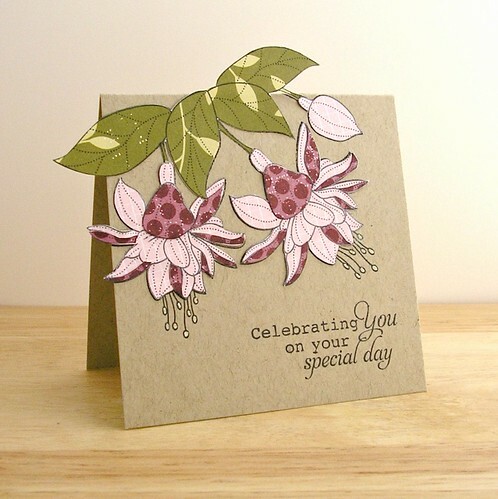 WOW - this card is gorgeous Aimes. Your paper-pieced card is GORGEOUS. I feel same way about paper-piecing -- therapeutic. The cake pops your guy made looks yummy. Красивая открытка. Понравилось расположение листиков за пределами открытки. Классный эффект. What a guy indeed! They do look scrummy. Gorgeous paper piercing, those are some lovely stamps. You've got a keeper there Aimes - what a sweetie! oh and gorgeous piecing too! Stunning card Aimes, I adore what you did.The paper piercing is truly awesome! yahooooo for your wonderful man AND yahoooooo for some spectacular paper piecing!!! This card is soooooo gorgeous dearie!!! Your man is a keeper too....lol!!! Wow, is this ever a beauty. Great composition, great choice of patterns. Such an awesome card! Love it! This is so pretty Aimes! LOVE the way you paper-pieced those flowers! Stunning card, Aimes! So glad that you play with us at CAS-ual Fridays! Oh my goodness!!! What a stunning card! Congrats! Just came from CAS-ual Fridays and your wonderful card was in the VIP 4 for the Paper Piecing Ch. Not surprised you were a VIP at CASual Fridays with this little beauty.... fabulous paper piecing! Totally love this - how good do pastels look with Kraft? This is simply *gorgeous*! Your piecing is perfect! W.o.w! I am going to give paper porting a try, especially if I can get results like this!